Pokemon X and Y finally came out last Saturday and I have been playing Y quite a bit since then. I am not super far in because I have been training with one particular part of the game, so I can't give a in depth review of sorts. But I will give my first impressions, the game is crazy. 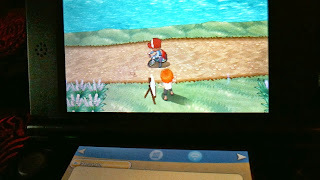 It could be that this is my first 3DS game, but the graphics blew me away. Here are some pictures comparing Y to White 2, (sorry about the blurry White 2 image) the point being things have improved. 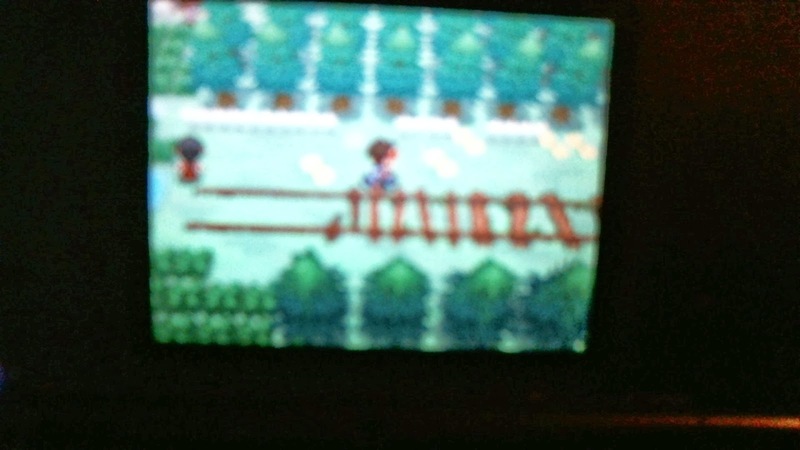 The game is bit more complicated, the battles are 3D and the moves are more custom for each Pokemon, I evolved a Pokemon with my 3DS upside-down, and in addition to the bicycle there are roller skates early in the game. Not only are there crazy features/graphics but it like most Pokemon games it is incredibly fun. Let's just say I have spent about 50 hours playing and I only have the first badge. I will talk more about some of the features, and add more photos and maybe video later.